Campsite Mille Pépites - Réserver en ligne sur capfun.com! 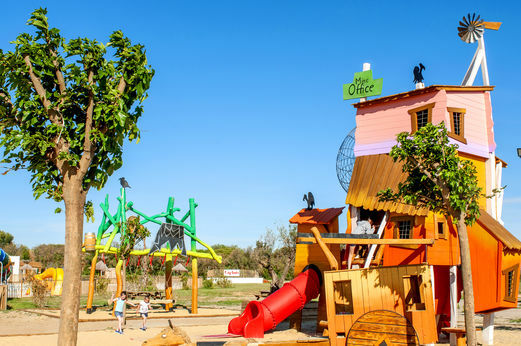 Located in Carnon Plage only 100m from the sandy beaches, camping Milles Pepites welcomes you at the gateway to the Petite Camargue for a successful family relaxation holiday. The campsite offers fully equipped mobile homes. The proximity to the major seaside resorts will allow you to practice the most beautiful nautical activities such as kite surf and windsurfing, stand up paddle or even kayaking. You can also discover and share the pleasures of the sea aboard beautiful sailboats. 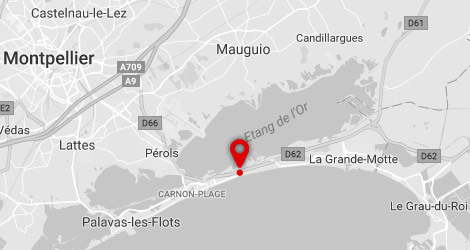 The Camargue is a wild and authentic region, known for its preserved flora and fauna. 7 kilometers of beach of dunes and fine sand stretch gently towards the sea. 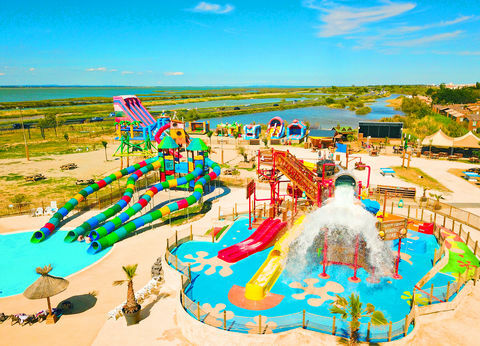 Between the vast Etang de l'Or, resort of the flamingos, skirted by the Canal du Rhone in Sète and the Mediterranean Sea, Carnon offers you an ideal setting for a family holiday. Many activities are available for you: horseback riding, boat trips, quad biking and cycling trips to discover a region with exceptional natural heritage, such as the listed site of Espiguette, or the Salins du Midi, and a heritage such as the Saintes Marie de la Mer and its famous procession, or Aigues Mortes and its fortified ramparts! Blindax is a small man with big dreams. He dreams of a relaxed life, without work, with a lot of money and lots of hobbies. 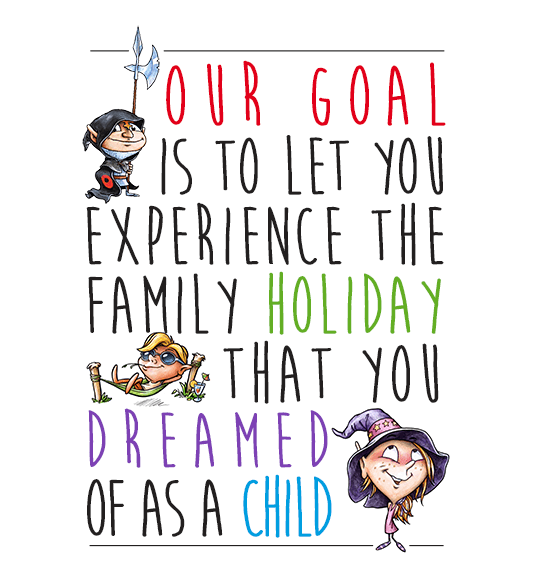 In short, a dream that’s a bit unrealistic…. But Blindax is very lucky. He has a gold mine in the Land of Gold in a hidden and secret place. And this gold mine gives him a lot of gold every day. "Today is the last day! I am going to save my money and live my dream of doing nothing"
When he has money, he has to spend it. Every evening Blindax goes out with all the money he has earned that day. And he goes to all the parties in the region. Every day when he falls asleep he is broke. And every morning Blindax wakes up feeling guilty. 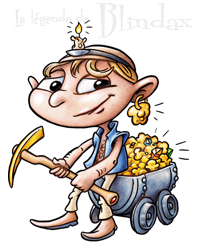 He swears he will not do it again and goes back to the mine with his big dreams and fragile intentions. 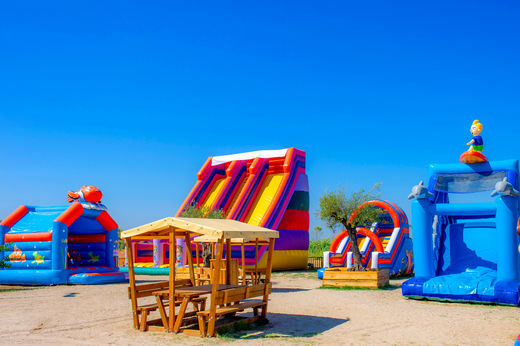 Discover the campsite Mille Pepites and let the holiday begin!